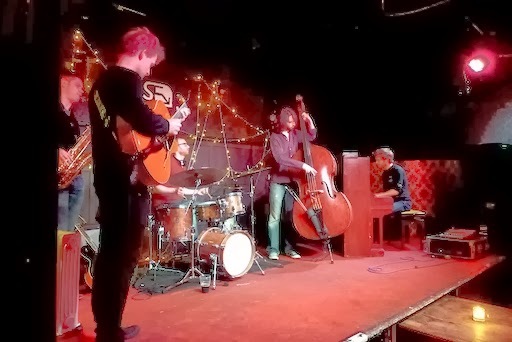 SE Collective: Tuesday 17th December: Xmas Jam Session FREE ENTRY! 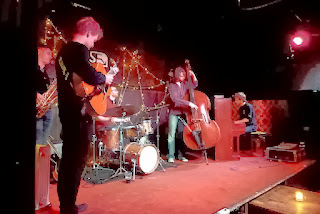 Tuesday 17th December: Xmas Jam Session FREE ENTRY! It's been a whirlwind of a 12 months, we've had so much great talent and awesome music, it's been truly incredible. So to mark the passing of the year, this Tuesday we will hosting an open jam session, featuring a house band of SE Collective original members. And just because it's Christmas we thought we'd make it a Freebie! So start celebrating early, grab your horn, axe, microphone, costume... or just grab a drink at the bar, kick back with the Amersham's plush NEW HEATING SYSTEM, and enjoy a cosy crimbo playalong!